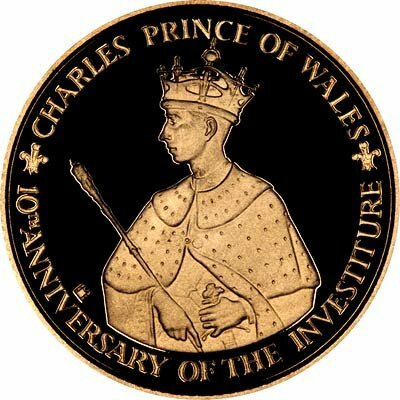 The reverse of this coin depicts Prince Charles wearing his formal attire holding the royal sceptre. The obverse depicts a portrait of the Jamaican shield of arms with supporters. 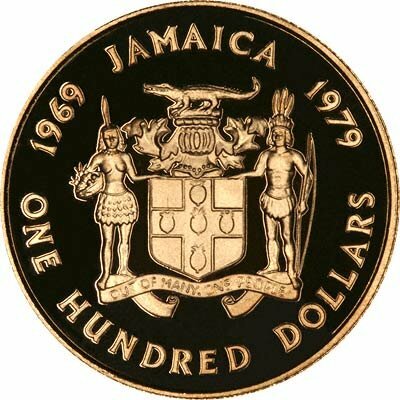 For silver and base metal coins of Jamaican, please look at our original Chard Coins website.